Bloo and his pals are always getting into some new adventure in their beautiful home of Starfish Cove. 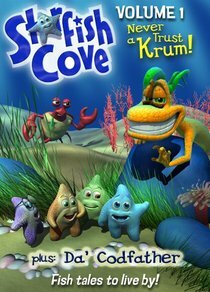 There is excitement and danger around every piece of coral, and they will need the help of Officer Crabihan to keep them safe from the Krum, the slimiest most despicable creep that's ever lived. About "Never Trust a Krum! (#01 in Starfish Cove Series)"